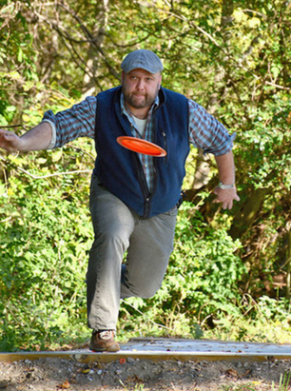 The Southeastern Disc Golf Course features a 9-hole disc golf course that is available to SEBTS members with a valid SEBTS ID card. The course opened in October of 2015 and is laid out over a rolling landscape just under 9 acres. The course length is 2,557 feet with a par of 28. Tee pads are of concrete and baskets are DISCatcher. The course provides its SEBTS members with not only the convenience of a course, but creating community and fellowship. Located at the SW corner of the Patterson parking lot, near the activities field, at Southeastern Baptist Theological Seminary in Wake Forest, NC. The course is for members only. A member is defined as someone who is a faculty, staff, student, or anyone associated with the seminary. A member can sponsor two guests and must remain with them at all times on the course, in addition to checking them in at the front desk in the Ledford Building. For more information, contact the Ledford Center Supervisor within the Student Activities and Discipleship Office at 919-761-2305. 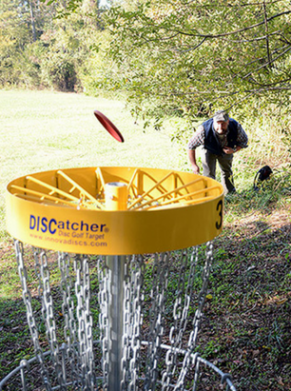 The Southeastern Disc Golf Course is available from sunrise to sunset. A waiver must be filled out for individuals ages 15-17 with a dependent ID. A guest is anyone who wants to utilize the Ledford Center recreation facilities only and is not a SEBTS or The College at Southeastern student, faculty, staff, alumni or the immediate family of one of these people. Guests may fully utilize the facilities as long as their sponsor is with them at all times. A guest may be checked in by a student, faculty member, staff, alumni or immediate family of these people who are at least 18 years old and has a current school ID. When a person checks in a guest, they become that guest’s sponsor. A sponsor cannot check in more than 2 guests at a time, no one under 18 can check in a guest. Before utilizing the facilities, all guests must be checked in by their sponsor at the front desk through the Ledford Center Sign-In Program. The sponsor must bring their guest(s) to the front desk and sign them in. The sponsor is responsible for all of their guests’ actions including language, conduct, and proper use of equipment and/or facility. The sponsor must remain with their guests at all times. When the sponsor leaves the Ledford Center he/she must bring their guest(s) to the front desk to check them out. For various reasons, guests are often in the building utilizing the facilities without being checked in. If they have a sponsor, both they and the sponsor need to check-in at the Front Desk immediately. If a person does not have a sponsor, he/she will be asked to leave. To qualify for guest privileges, a guest must have a sponsor with them already, not look around the disc golf course for someone who will sponsor them. Equipment checkout available at the Ledford Center front desk. Items intended to be checked out for use must have an ID. An automatic e-mail is sent if items are not returned or your ID is left.